Adorable 2-story cottage with granite kitchen, hardwood floors downstairs, full bathroom, and living room with futon and HD TV on first floor with sliders out to stone patio with gas grill and patio set for outdoor dining. Second floor is one spacious bedroom the size of the cottage. Outdoor shower available also.Beach pass included for all Barnstable beaches, internet provided, air conditioning included and pets welcome. Greg was a nice host who had some recommendations for our short stay and offered to drive/pick us up to and from the ferry. There are a couple beaches less than a mile and walk-able from the cottage and a little pizza shop that's also a short walk. In your car there are many more options for food etc. Dog friendly. Would stay again and recommend to others. Charming cottage steps from the beaches of Hyannis/Barnstable. The property was extremely quiet and secluded despite the proximity the beach. Greg was a great host, provided us with lots of tips for local restaurants and let us use his landlord beach pass, which saved us quite a bit of money in parking fees. The cottage was clean and had everything we needed, even though we weren’t there much. Couldn’t have asked for anything more. Property is as good as advertised, maybe better. We loved this cottage! It is the right size. The upstairs bedroom is relaxing, perfect for a deep sleep or a restful nap. The property is peaceful and the location is close to everything! hi, thanks so much for your thoughtful review, it means a lot us as we so love the Cape and all it has to offer. Be sure to stay in touch especially if you come this way again! Greg and Maureen are very nice couple and really tried their best to make our stay as comfortable as possible. They have a huge yard and our dog loved it. The cottage is small, but it has everything! We enjoyed it a lot. 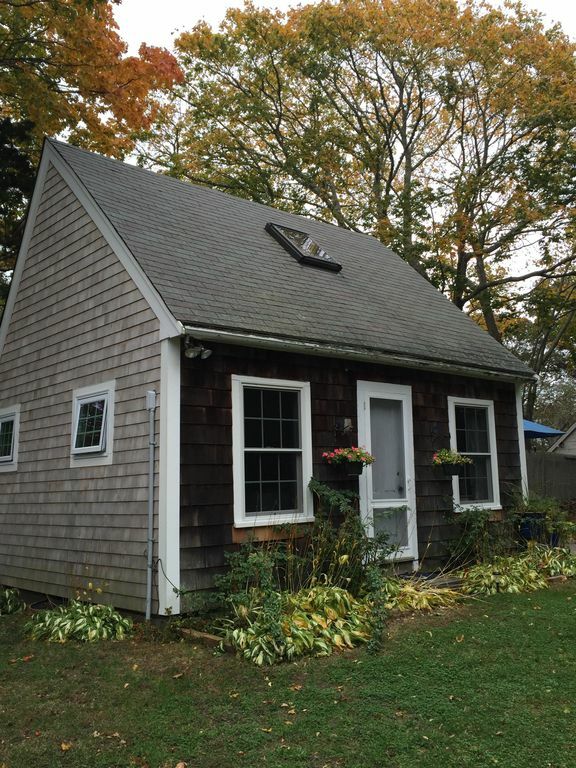 Great cottage minutes near the beach, Hyannis and Osterville. Accommodations were clean, cozy, tranquil offering all you need to feel at home. Owners were friendly and lovely as was their beagle! Really had a nice weekend!